Republic's low price used car lot since 2012. Here at Buy Wright Motors, we offer our up-front CASH price Clearly listed on the windshield and on the website. Our Upfront approach takes out the hassle of buying your next car. We tell you what we know about the vehicle and what we have serviced and/or replaced on each vehicle. 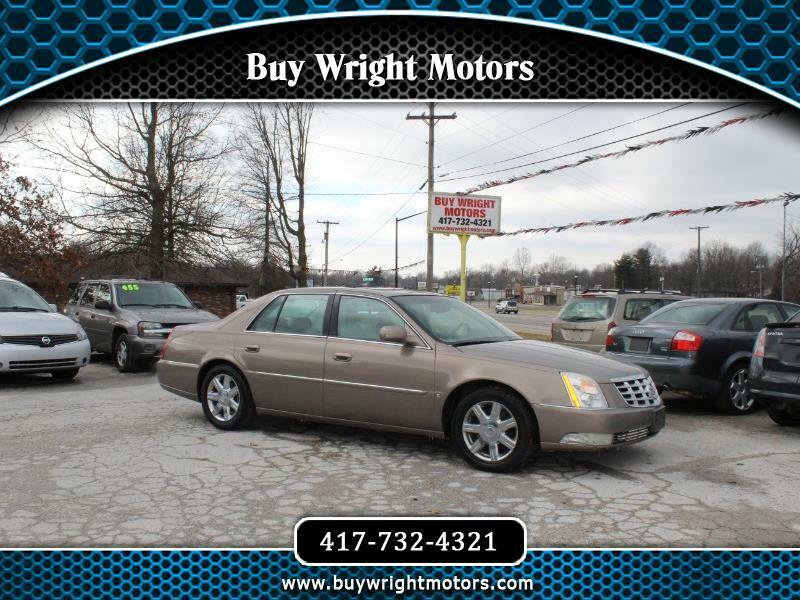 We provide Southwest Missouri with some of the lowest priced Quality pre-owned automobiles. Each and Every vehicle goes through our reconditioning process. All vehicles are test driven by us, evaluated and Serviced upon arrival. We go through the whole vehicle from top to bottom. All vehicles come with a VALID Missouri State Safety Inspection done at the time of purchase. We are A fully Equipped mechanic shop with knowledgeable staff that can fix it all. Come see why our name says it all at BUY WRIGHT MOTORS. ALL VEHICLES HAVE CLEAN & CLEAR TITLES UNLESS NOTED. Message: Thought you might be interested in this 2006 Cadillac DTS. ALL VEHICLES (UNLESS OTHERWISE NOTED) HAVE A CLEAN & CLEAR TITLE. EVERY VEHICLE SOLD COMES WITH A VALID MISSOURI STATE INSPECTION DONE AT THE TIME OF SALE. **WE ARE NOT CURRENTLY FINANCING IN-HOUSE. ** WE CAN STILL ASSIST YOU WITH FINANCING AT THE BANK OR CREDIT UNION OF YOUR CHOICE. WE HAVE DISCOUNTED OUR INVENTORY TO REFLECT THE "CASH ONLY" PRICING. ALL PRICES LISTED ARE CASH PRICES. WE WILL NEGOTIATE IN PERSON, ONCE YOU HAVE TEST DRIVEN THE VEHICLE. ALL VEHICLES ARE SOLD ON A AS-IS BASIS, YOU ARE WELCOME TO TAKE THE VEHICLE TO ANY MECHANIC YOU DESIRE BEFORE PURCHASE. BUY WRIGHT MOTORS DOES OFFER AFTERMARKET POWER TRAIN WARRANTIES AT EXTRA COST. THEY START AT $300 (3MONTHS/3 MILES).